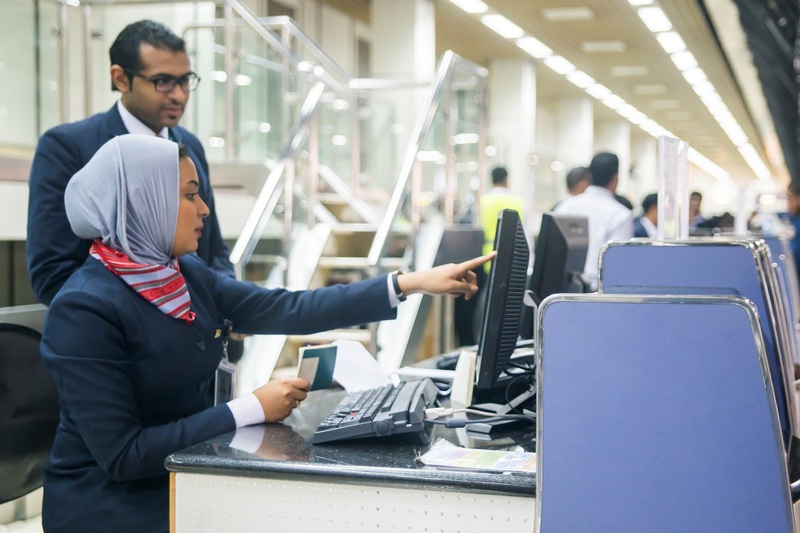 Bahrain Airport Services Company (BAS) has begun to implement its procedures to service the pilgrims from Bahrain International Airport. Mr. Mohammed Janahi, Senior Manager of Passenger Services, said that the actual preparations for the Hajj season began last July by checking visas for the international pilgrims departing from the Kingdom’s airport. Janahi said that the first group of pilgrims was launched from Bahrain International Airport on Tuesday, 7 August 2018. He added: “We have allocated a staff of trained and qualified professionals to work professionally with the pressures of work. The company will deal with 5625 pilgrims from the Kingdom of Bahrain, including 430 residents, who are under 58 licensed local campaigns”. Janahi pointed out that BAS Company has been in contact with campaigners and their organizers to arrange travel procedures, which include pre-checkup of bags. Ministry of Justice and Islamic Affairs mention that the date of August 15 is the last date for the departure of Hajj campaigns from Bahrain International Airport. Bahrain Airport Services Company (BAS) was established in 1977. It is the official operator of ground services at Bahrain International Airport since its establishment. A trusted name in the world of services as a company certified by the Air Transport Safety Audit Program of the International Air Transport Association. BAS offers a number of commercial activities including: aircraft and passenger handling services, catering services, aircraft engineering services, the BAS Engineering Training Center (BAETC), as well as owning and managing airport lounges.